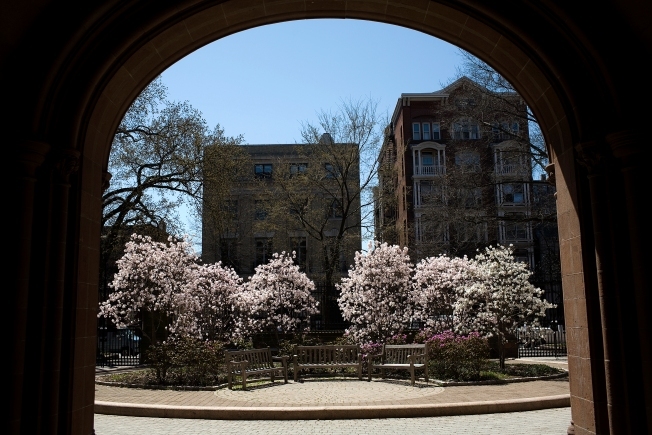 The trees bloom on the campus of Yale University won't be imperiled by rejection letters. The wait for a thick or thin envelope determining the fate of college hopefuls is over for college applicants, at least for students who applied at Yale. It’s not as high tech as the acceptance and rejection text messages portrayed on shows like “Gossip Girl,” but Yale won’t mail out rejection letters if a student has already checked the admission decision online, the Yale Daily News reports. The school sends out a whopping 20,000 and this will cut costs and to save paper, Dean of Admissions Jeff Brenzel, told the Yale Daily News. The thick “you got in” packages and wait list letters will still arrive in the mailbox.